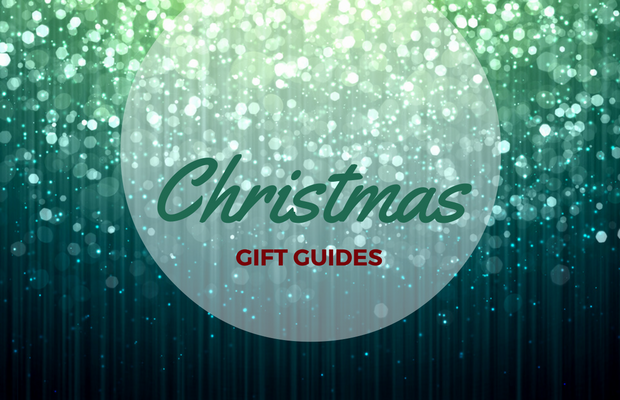 Welcome to the first of my Christmas Gift Guides for 2016. Once again I cannot believe how fast Christmas has come around! I swear time is speeding up. My kids have started writing their letters to Santa, filled with all the goodies they are wishing for this year. If you are needing a little inspo, I have put together a few gift guides this year, and the first one is for the babies: 0 – 1 years. As with other years I have some awesome prizes up for grabs. Just to spice things up, things are a bit different this year. I have some competitions which you can enter directly on the blog post, some will be exclusive to my newsletter subscribers (you can sign up here) and some are just for my Facebook peeps, so I’m spreading the Christmas love. Throughout the gift guides you will see these symbols which will let you know how to enter. The newsletter which goes out 20 November will contain all the details on how to enter the specially marked newsletter subscriber comps. 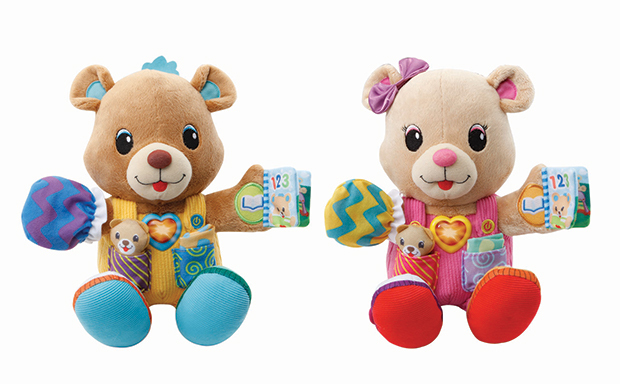 Alice and Alfie are cute, friendly and interactive bears that make wonderful companions. Alice and Alfie are from VTech who are known for their range of developmental, stage-based, electronic learning products for children. Alice and Alfie are soft and cuddly, and feature different textures that enhance sensory development and accessories for manipulative stimulation. When you press Alice or Alfie’s hands, feet or heart they will introduce first words and encourage interaction by asking questions. Your little one will learn body parts, colours, items of clothing and will be read a fun short story. 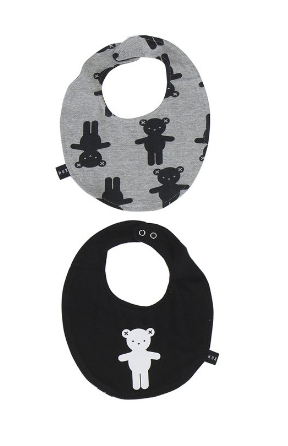 Alice and Alfie are suitable for 6-36 months and you will find them in all major retailers, RRP $30.00 ea. Spin and discover animals, sounds, shapes and numbers with the Push & Play Spinning Top! The Push & Play Spinning Top is another great toy from VTech. The press down plunger spins the animals round and round and helps your baby discover cause and effect relationships. The four brightly coloured animals introduce themselves, their sounds and sing a song to baby. 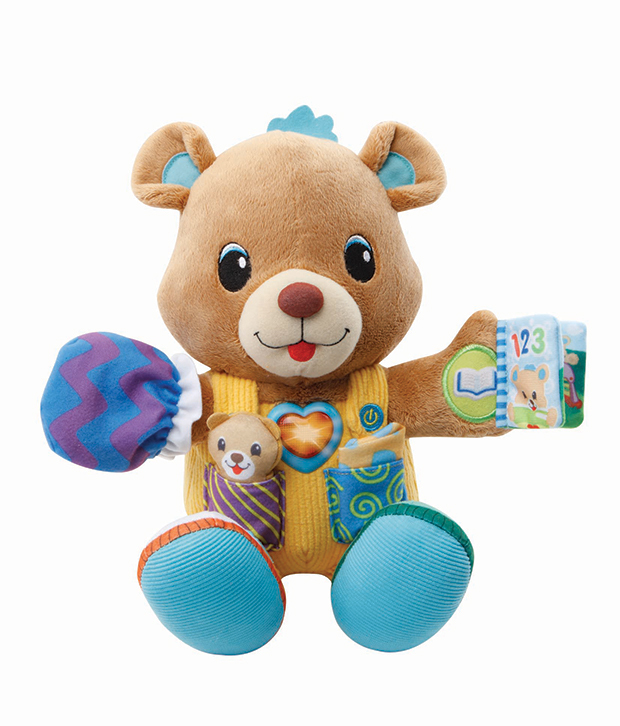 The Push & Play Spinning Top is suitable for 6-30 months, RRP $29.95 ea. 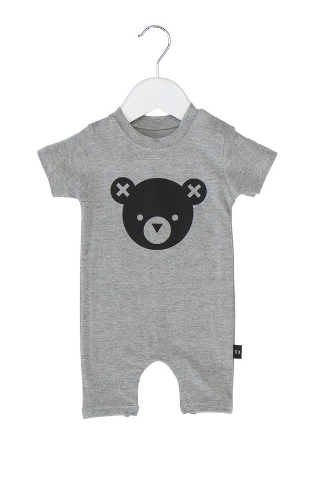 I love the Huxbaby range because it’s unisex and has a clean, minimalistic design aesthetic. If you’re looking for funky clothes for your little one then look no further than Huxbaby. The only problem with this range is choosing between all the awesome things they have – you’ll want to buy it all! I’m a big fan of MooGoo, the kids and I use many of their products ( I swear by the Eczema & Psoriasis Cream). MooGoo is an Australian company with an entire range of natural and gentle products for the whole family. This nifty little travel pack had all the popular MooGoo baby products in a convenient size for when you are on the go. 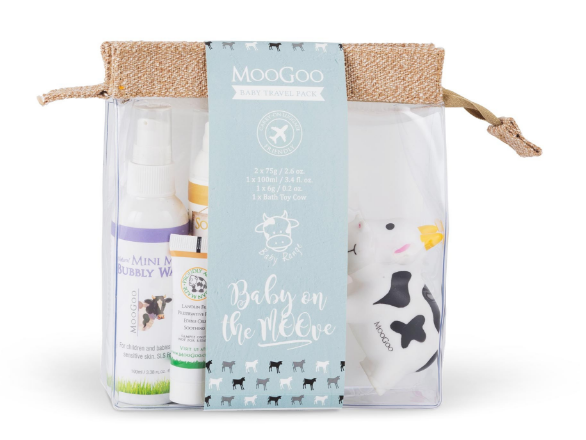 Each MooGoo Baby Travel Pack contains: Mini Moo Bubbly Wash 100ml, Soothing MSM Cream 75g, Nappy Balm 75g, Mudder Udder Balm 6g and a cute little cow bath toy. The travel pack is available online for $25 and can be gift wrapped! Win the gorgeous My Friend Alfie! This competition is especially for my lovely newsletter subscribers. My Christmas newsletter will be sent out on the 20 November and will contain details on how to enter this competition. Sign up to receive the newsletter here.